Need to cozy up with something snuggly? 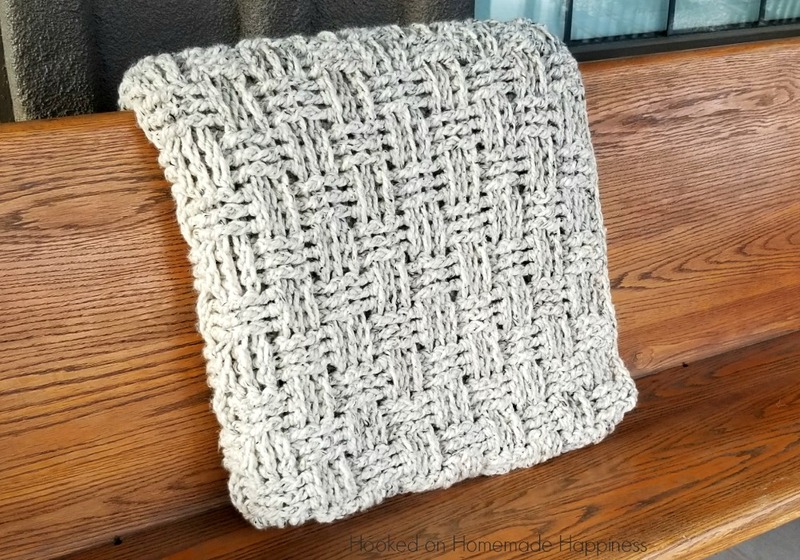 This Chunky Basketweave Throw Crochet Pattern works up surprisingly quick and you’ll be warm and toasty in no time! 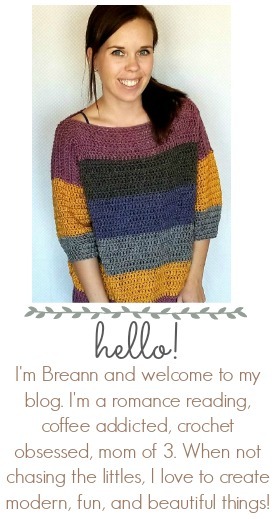 I am loving the texture of the basketweave stitch paired with this yarn. They go together perfectly! 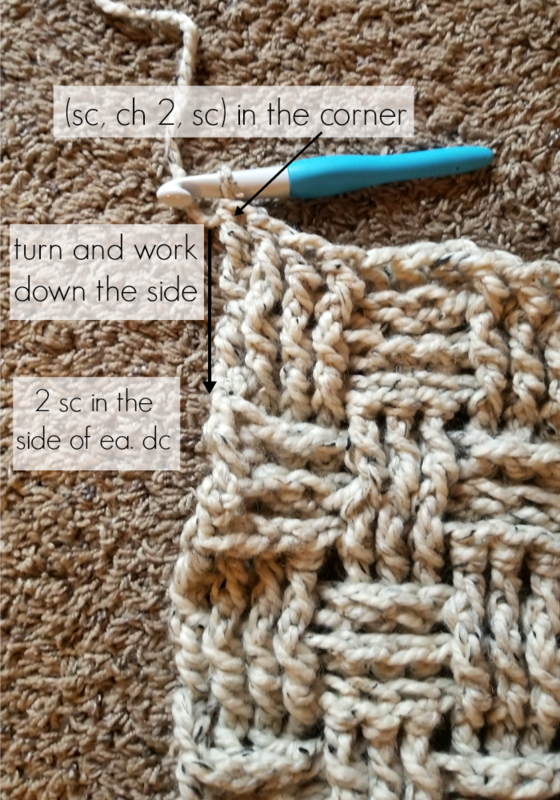 With a simple 5 row repeat, this basketweave stitch in easy to create and turns out absolutely gorgeous. Trust me when I say, you won’t be chilly when snuggling with this blanket. It’s thick, warm, and bound to keep even the coldest toes nice and toasty. Do not fasten off. Next is the border. I hooked down to a L/8 mm hook because my edges were a bit loose and I wanted to tighten them up a bit. Hooking down a size or two is optional. 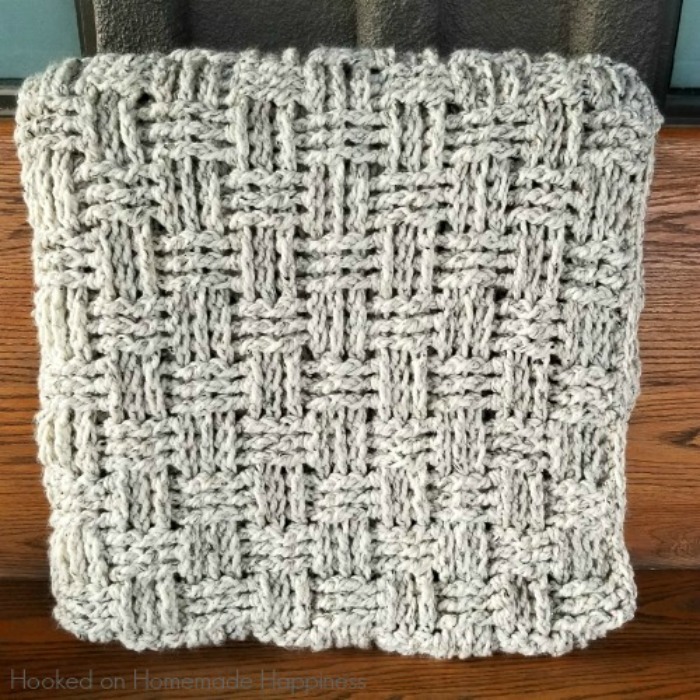 I love this pattern, I have tried it on my own and did not work so well. Your instructions seem so easy to follow, I am going to try it. Could you tell me where best place to get needles at? This was so much fun to make! Instead of the chunky yarn, i used up a ton of my yarn stash, with three strands randomly. It turned out great! Thanks for the pattern! 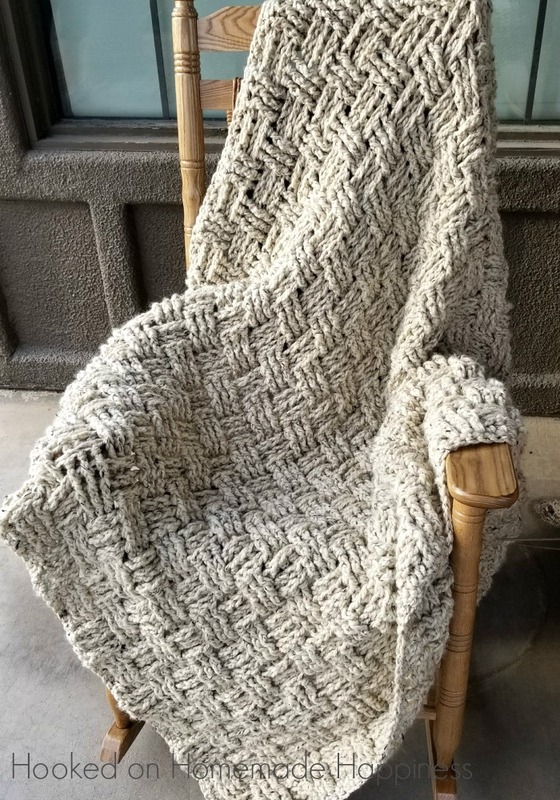 Beautiful basketweave throw! 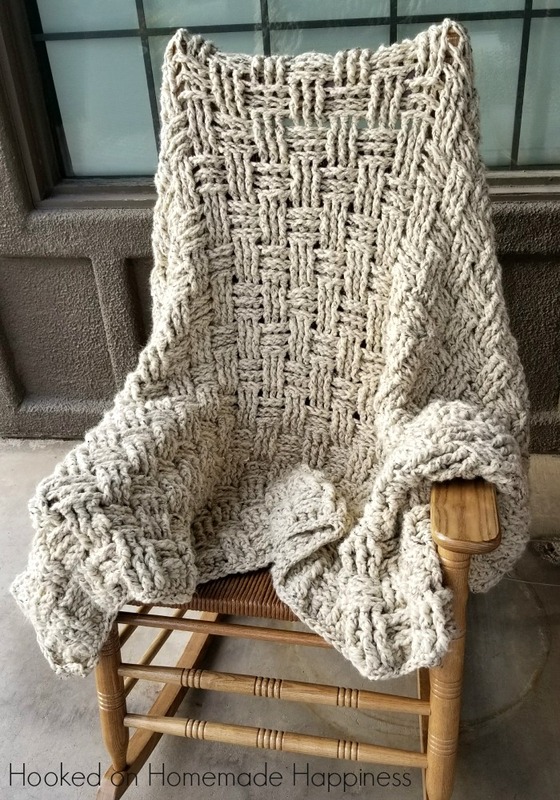 Would you reduce the hook size with blanket yarn (Bernat) to get a tighter weave? Thanks! Thank you for the suggestion… I will do that and see how it works! Did you try this? Inman interested in making this with blanket yarn. Thanks! Hello…how many would I chain to make it a wider? About 6 inches wider. Hi 🙂 Try a starting ch of 100. I gave this blanket as a gift so I can’t measure it. But this will give you another 6 stitches. If it’s still not big enough try 106. That will be so pretty!! I love this pattern and am making one for my queen size bed. I was looking at the possibility of doing it in stripes. How many rows would you recommend between color changes? Thank you!! Maybe 6 rows? Then each color would be a whole repeat. Just want to be sure the quantity of yarn is 17 skeins for a throw. It seems like a lot. Is it really 17? I was thinking about making this a baby blanket so I would want the size a bit smaller. Do you have any suggestions on how to change up the 94 chains and then the 45 bpdc and 45 fpdc? I was wondering if 74 chains and then 35 bpdc and 35 fpdc would work? Or a different count? I’m terrible with adjustment the measurements from a pattern. I appreciate any help. Can you tell me specifically which Lion Brand Thick and Quick yarn you used? Homespun? Heartland? Wool-Ease? I love the textured look of it.